Catch up on the latest RCS news and announcements here and be sure to subscribe to our blog to stay up-to-date on the latest mobile and RCS updates. This month, Google showed another vote of confidence in RCS by shutting down its legacy chat service, Allo. The company announced back in December that it would be phasing out the messaging service at some point in March, and Allo officially shut its digital doors on March 12th. RCS carries over some of the rich messaging features seen with Allo such as smart replies and the ability to send large media files, and will be available to more users this year as RCS continues its rollout across US carriers. In June 2018, Google rolled out Messages for Web, which allows users of Google Messages to send and receive SMS and MMS messages from their web browsers. This month, Google rolled out an update for Messages for Web to include support for peer-to-peer RCS messages as well. Users can now enable RCS chat features on the web service such as read receipts and typing indicators. 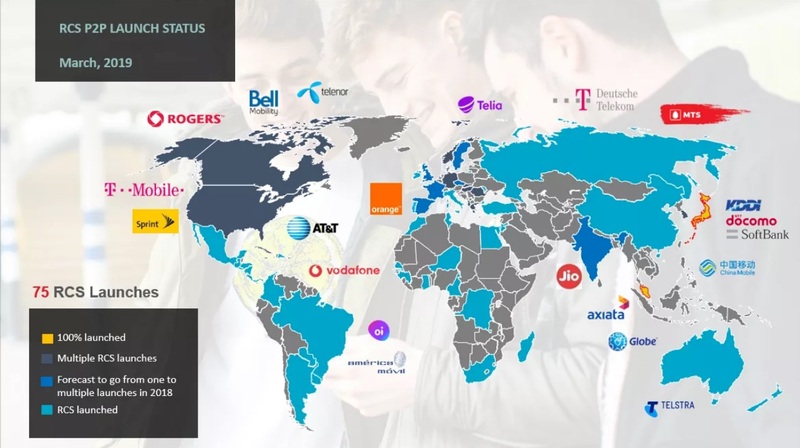 The GSMA released updated numbers in March that showed RCS is now launched with 75 mobile operators worldwide and is expected to grow. Over the next 12 months, the GSMA forecasts more than 40 new mobile operator launches across the globe. The forecast is inline with February data from MobileSquared, who is anticipating nearly 2.5b MAUs for RCS by 2023. As a leading proponent for both P2P and A2P RCS, Google continues to make moves that pave the way for RCS to become the mainstream messaging channel. With RCS continuing to pick up steam with MAUs and device rollouts, this reality remains on track.